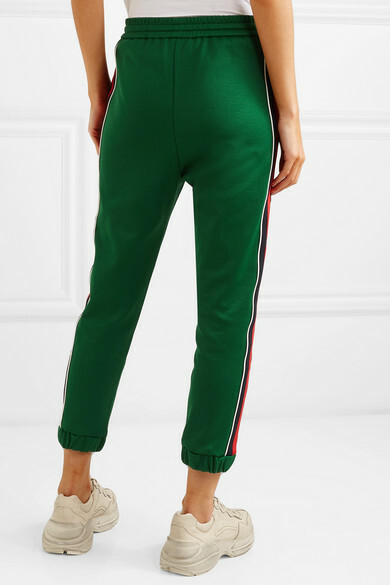 Gucci's track pants have a cool, retro vibe that the label does so well. 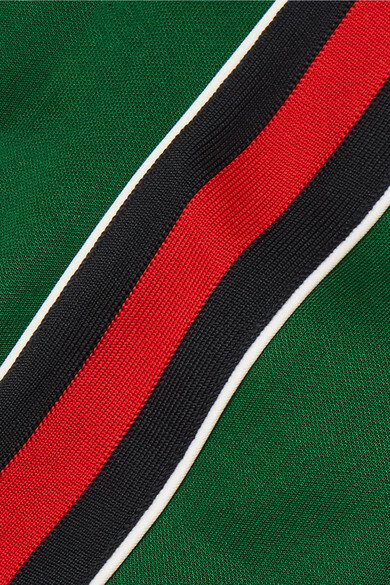 Italian-made from lustrous green tech-jersey, they have raised seams at the front and comfortable elasticated trims. 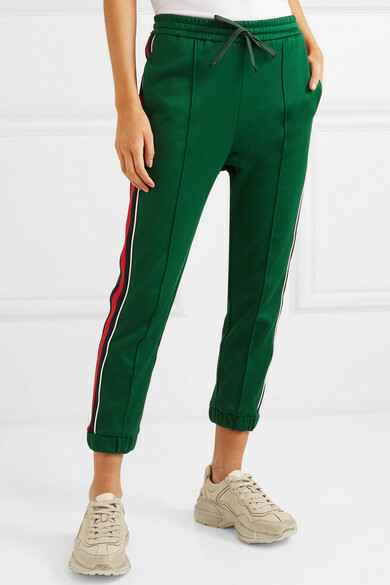 Match your sneakers to the signature webbed stripes along the sides. 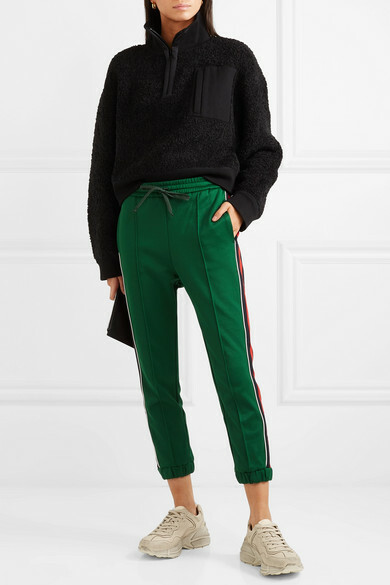 Shown here with: Ninety Percent Sweatshirt, Gucci Sneakers, Givenchy Pouch, Sophie Buhai Earrings.